Italian in a Big Way. Fat’s is pleased to offer delivery services in Bloomington & Minneapolis. Fat’s is pleased to provide its award-winning cuisine for any and every occasion. Fat Lorenzo’s is seeking great cooks who are great people! 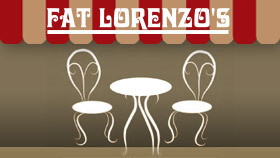 Welcome to Fat Lorenzo’s, an award-winning, nationally recognized, locally owned Twin Cities dining favorite. Our restaurants in Minneapolis and Bloomington are internationally known for fabulous Italian cuisine and fun and funky murals by local Twin Cities artist Ed Charbonneau. 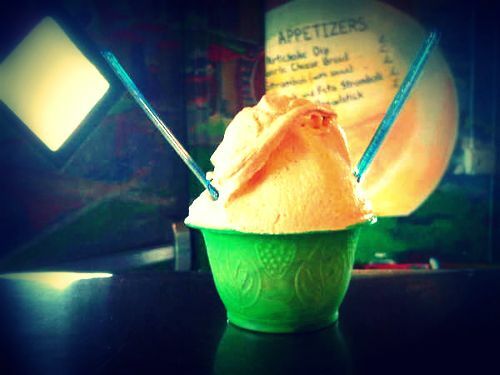 We are committed to providing the best pizza, pasta, hoagies and gelato in the universe! We offer dine-in, take out, delivery (not, unfortunately, to the universe), catering, and special events for hungry people from 1 to 10,000. At our Bloomington location, we can accommodate weddings for up to 400 guests. THINKING ABOUT A NEW JOB? GET STARTED NOW! Now hiring for all positions but especially for Drivers and Cooks! Enjoy working for a small family run restaurant with great tips! Go the “Employment” page and submit the “General Employment Expression of Interest Form” and we will be in touch! Fat's was recently named one of the Daily Meal's 101 Best Pizzas in America 2013.